Ideal for restricted intake on pasture or a low yielding pony paddock. Non ryegrass equine pasture provides a diverse range of grass species yet completely removes the elevated sugar/protein content of modern, improved, rich (and even tetrapolid) ryegrass varieties which are so often included in cheaper mixtures and yet clearly associated with easy weight gain and/or the increased risk of equine laminitis. 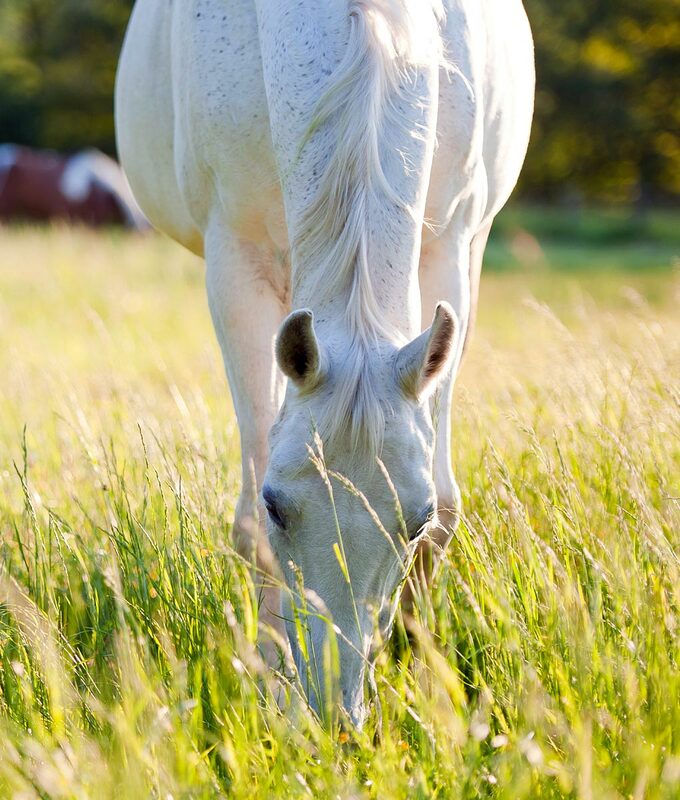 Our Equine Pasture Without Ryegrass seed is ideal for pony paddocks, lower stock levels in pastures (where grass yield is not the priority) or the strip grazing of horses and ponies on restricted intake management. Despite not having the usual ryegrass content the included grass species still produce a durable, persistent and hardwearing sward suitable for establishment on most soil types however, this product is particularly suited to producing a reliable sward on light or free draining ground.